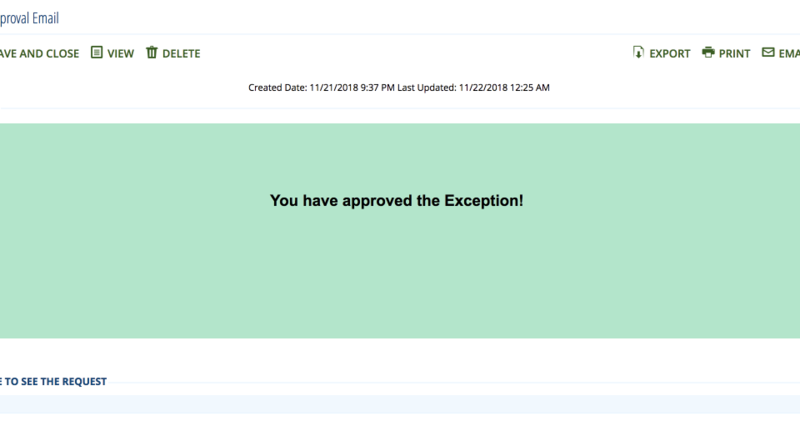 This ODA solution helps the business review and approval process much easier by removing the necessity of user having to navigate to the record and switch to Edit mode, then change a value in a field to “Approved” or “Rejected” and then save the record. The user who needs to approve or review the request, will just simply receive an email and clicks a link/button in the content, and it’s all happening automatically. For SSO enabled process, this is simply just one click. For non-SSO Archer sites, the approver will need to login, but that’s the only step needed.